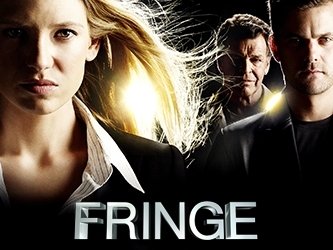 Fringe | What's Peeps Thinking About Now? It's Probably Random! Happy Friday! 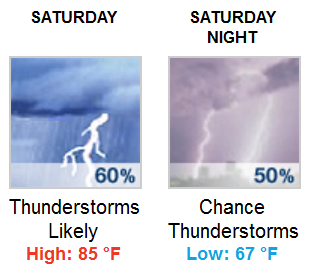 This is the kickoff to the last weekend of June. I cannot believe that one-half of 2014 is already behind us and the Fourth of July is next week! We have nothing planned this weekend and that’s perfectly fine with me. Thank you for checking out my random thoughts. 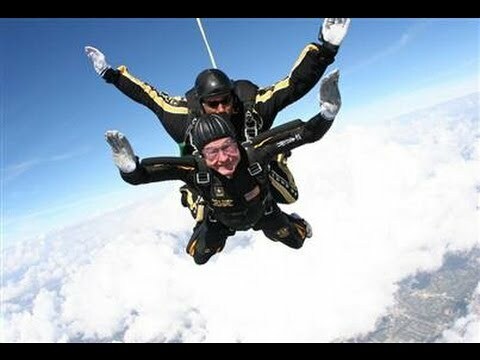 A couple of weeks ago, former President George H. W. Bush celebrated his 90th birthday by jumping out of a plane. I commend him for doing something that I’d never do. He also took parachute jumps on his 80th and 85th birthdays. George H.W. Bush becomes the fifth U.S. President to reach 90-years-old and he’s the fifth longest living President. He joins the ranks of Gerald Ford, Ronald Reagan, John Adams, and Herbert Hoover. 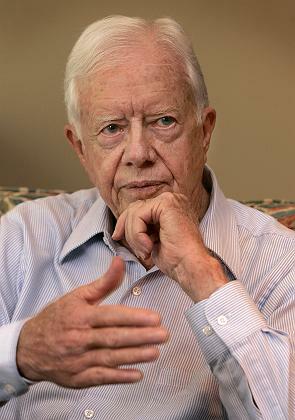 God-willing, on October 1st of this year, my favorite President, Jimmy Carter, will become the sixth President to live to 90! WAS THERE FOUL PLAY INVOLVED IN TAMMY WYNETTE’S DEATH? 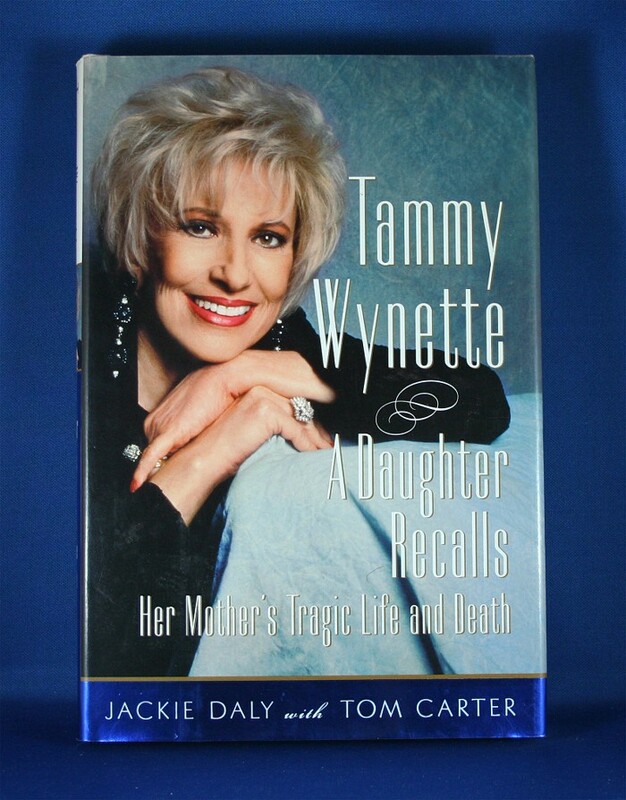 I recently read “Tammy Wynette: A Daughter Recalls Her Mother’s Tragic Life and Death” by Jackie Daly, the country legend’s second oldest daughter. Tammy Wynette died in April of 1998 at the age of 55. While she had health issues, numerous major surgeries, and an addiction to painkillers over the course of her life, the circumstances surrounding her death were very questionable. This book is pretty one-sided since it’s told by a daughter that went to great lengths to prove that there was a cover-up in her mother’s death. However, it definitely makes you realize that celebrity deaths are handled much differently than the deaths of average people. And, even moreso, when there are millions of dollars at stake. Jackie Daly (with Tom Carter) makes a good argument that it’s very suspicious that Wynette’s husband, George Richey, called his wife’s personal physician in Pennsylvania, hundreds of miles away, to inform him of the singer’s death before the local medical examiner was contacted. Tammy’s four daughters would go on to file a $50 million wrongful death lawsuit against Dr. Wallis Marsh of Pittsburgh, who had prescribed the drug, Versed, to Wynette. 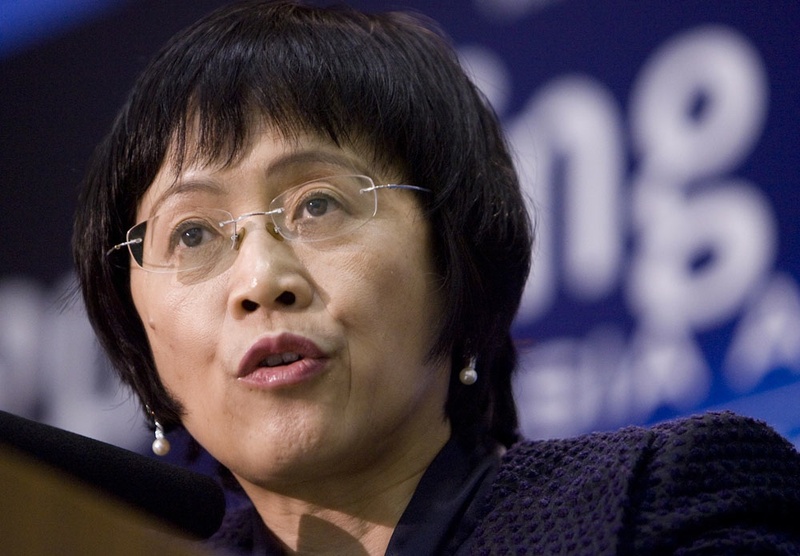 That drug has been proven that it could cause death if not administered by professionals and under supervision. Richey was also named in the lawsuit for administering the drug, but he was later dropped. The pharmacy, Care Solutions of Nashville, was also named in the lawsuit for delivering the painkiller. Four years after Wynette’s death, a confidential out-of-court settlement was reached between Marsh and the four daughters. 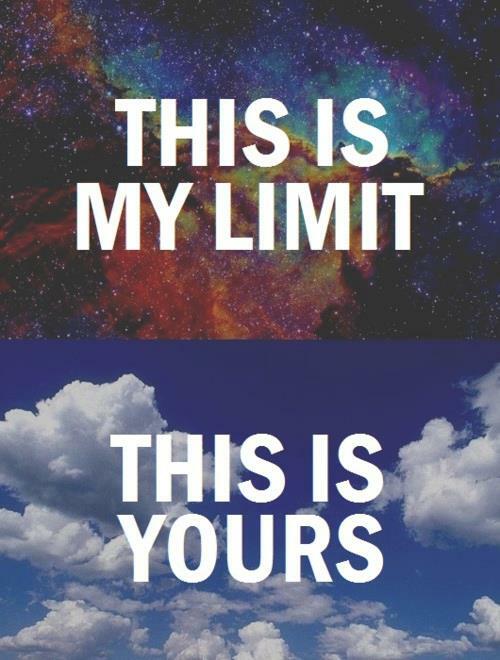 I could care less about Chris Brown’s court appearances and Justin Bieber’s latest run-ins with the law. Also, “Entertainment Weekly”, move on from “Game of Thrones” and “Mad Men”. There are other things happening in the world of television, movies, music, and books! Now that Ray and I are wrapping up the fifth and final season of “Fringe”, (R.I.P. Walter, Olivia, and Peter), we’re debating what series to watch next. It’s between “Breaking Bad” and “True Blood”. I think we’re leaning toward “Breaking Bad” since the seventh and final season of “True Blood” is now underway. 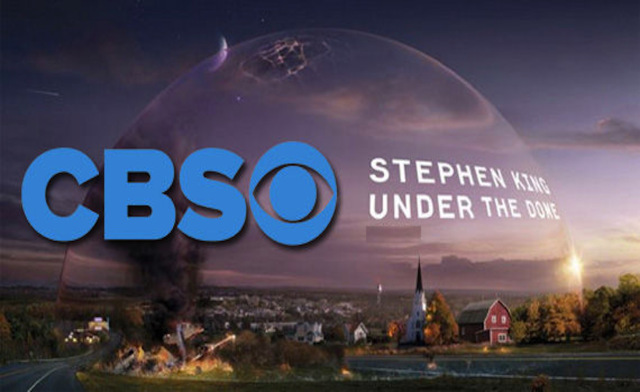 Also, the second season of “Under The Dome” starts Monday night, June 30th, on CBS! Christian pop singer Amy Grant is ready to make a comeback on the pop charts and in the dance clubs. 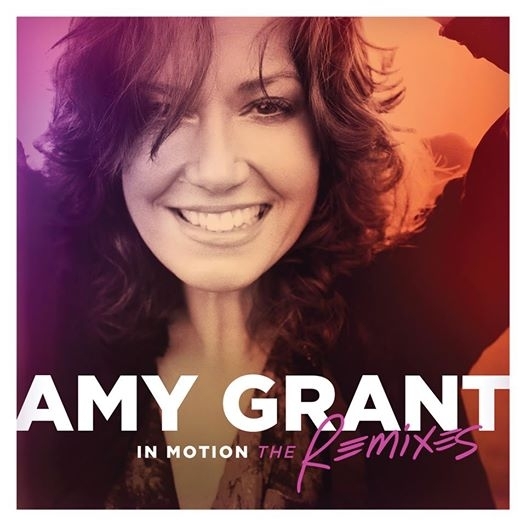 On August 19th, “In Motion: The Remixes” is released and it’ll feature remixes of some of her biggest hits by some of today’s hottest DJs, including Chris Cox, Tony Moran, Moto Blanco, Ralph Rosario, and Hex Hector. “Baby Baby”, remixed by Dave Aude, is ready to blast its way into the dance clubs. Since her first Christian hit in 1977, she’s hit the top of that chart 16 times and she’s also crossed over to the pop chart. This is one release I’m looking forward to this fall. The last comedy that really made me laugh out loud was “This Is The End” last year and that ended up being my fifth favorite movie I saw in 2013. Now, I can add the box office bomb, “Walk of Shame” to that list of funny movies. Yes, critics hated it and it was panned by the few movie goers that saw it. For whatever reason, it was only released in 51 theaters for a week! Nevertheless, Ray and I thought it was funny. Elizabeth Banks plays Meghan Miles, a Los Angeles television news anchor, who is dumped by her fiance. Her two friends force her to go on the town. After getting drunk and hooking up with the very hunky Gordon, played by James Marsden, she leaves his place when he falls asleep and checks her messages. The network is coming to see her show for a promotion to do the national news. When she leaves Gordon’s place, her car is being towed away with her purse in it. In her quest to get the car back, she runs into altercations with local drug dealer, prostitutes, the police, and that’s only part of the drama and the chaos. So, it may not be Oscar-worthy material, but I laughed many times and I plan on buying the DVD. Many of us have done the “walk of shame” and this is one I’d definitely do again! 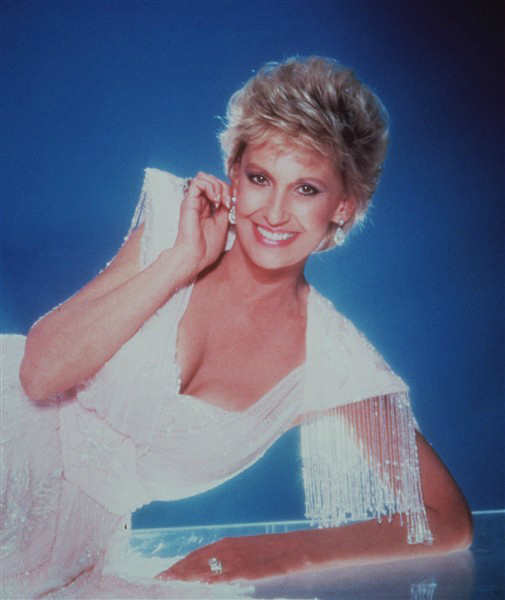 Since I talked about Tammy Wynette earlier in the blog, I’ll feature her in this weekly segment. In her long career, Tammy scored 44 Top 40 hits on the Billboard Country chart. Of those, 31 reached the Top Ten and 25 of them made the Top 5. “‘Til I Can Make It on My Own” is one of my favorite Tammy Wynette songs. It hit #1 in the spring of 1976. In addition to her solo hits (and a #1 duet with David Houston in 1967), Tammy also scored 13 Top 40 hits with George Jones. Of those, eight reached the Top Ten and three topped the Country charts including “Golden Ring” and “We’re Gonna Hold On”. With all the country success, only “Stand By Your Man”, her #1 1968 country hit crossed over to the Billboard Hot 100. It peaked at #19. However, that would not be her last appearance. In late 1991, the British duo, KLF, called up the “Queen of Country Music” to lend her vocals to their hit, “Justified & Ancient (Stand by the JAMs)”. 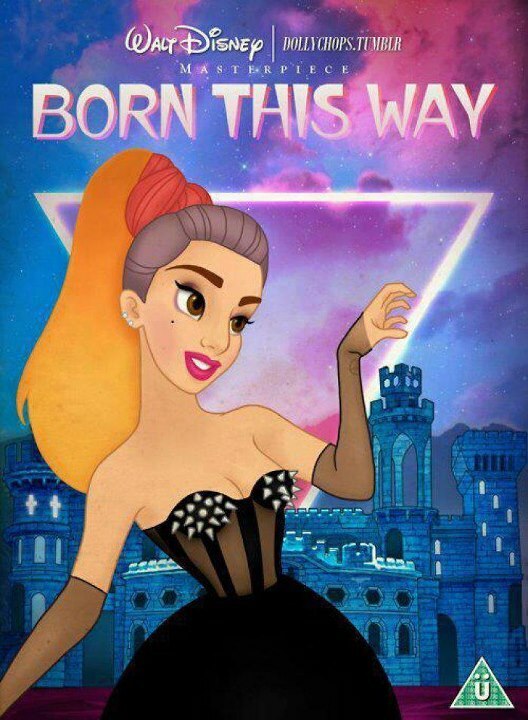 That song made it all the way up to #11 on the Billboard Hot 100 and reached #2 on the Billboard Dance charts. But, it hit #1 in Austria for five weeks and #1 in Sweden for three weeks. It also topped the charts in Finland and New Zealand and almost hit the top in the U.K. peaking at #2. Thank you for checking out my random thoughts. Here’s hoping that we all have a great weekend. It feels like one of those days where I’d love to have a buffet! But, I’m determined to eat healthy through Saturday when I leave for Houston. So, I’ll have a blog buffet — where I talk a little about this and a little about that. Watch out, Mitt Romney!!! If the great people of the Buckeye State are correct and they have been since 1972, you’re in trouble. Since Ohio is considered a “battleground” state that will be key in deciding the 2012 election, you’d better be spending much of your time, money, and efforts there. Since 1972, Ohio has picked the winning candidate in the presidential election. As a matter of fact, since 1944, the state has only picked the wrong candidate in the race for the White House one time! Back in 1960, Ohio picked Republican Richard Nixon over Democratic winner John F. Kennedy by 6.6%. 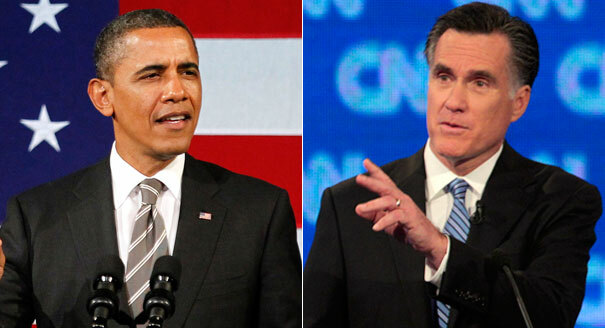 In the latest CBS/New York Times/Quinnipiac poll of Ohio voters posted on Real Clear Politics, President Barack Obama leads Romney by 10%! And, speaking of President Obama, I entered a contest the other day and the winner gets to have dinner with the President before the election. While a long shot, Gretel is very excited. While the Quad Cities will enjoy more “Indian Summer-like” weather (NOAA: “Indian Summer” is generally associated with a period of considerably above normal temperatures, accompanied by dry and hazy conditions ushered in on a south or southwesterly breeze”), from this weather map you’d think that a storm would be bringing a dinosaur into the middle of the country! I saw this a while back and saved it. Too funny! Overnight, I was awakened around 2 a.m. by a noise down on the patio, which is located right below our bedroom window. One of the cats heard it, too, and she was in the window peering outside. As my eyes adjusted to the darkness, I saw it. A raccoon was scurrying around trying to get the can of fish food open after it knocked the container off the patio table. I ran downstairs and turned on the patio light and it ran up the steps into the backyard away from me. Like a warrior, I grabbed the water hose and started spraying it into the direction that it ran. 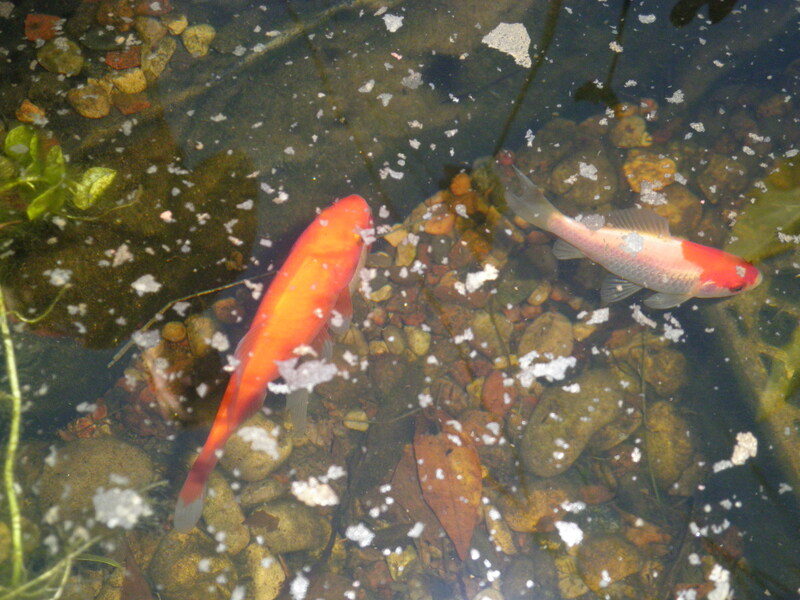 Those are pictures of the fish earlier in the week. I think we need to find something to keep the raccoons away from them this week while we’re gone. We definitely didn’t fatten them up to be a meal for a nocturnal beast! On Monday, my sister, Tammy, turned 46. We celebrated by Ray making her dinner and we had pumpkin cake roll for dessert. Tammy is not the only family member that would have been celebrating a birthday Monday. She was born on my grandmother Helen’s birthday. Had my grandmother been alive, she would have been 99 years old!!! I’m so excited to see the new Ben Affleck movie, “Argo” when it’s released on October 12th. I’ll be in Las Vegas and I plan on finding a movie theater. I’ve already expressed interest in “The Perks of Being a Wallflower”, “The Paperboy”, “Lincoln”, and “Zero Dark Thirty”. Now, I’ve added another one to the list. “Entertainment Weekly” calls “The Impossible”, starring Naomi Watts and Ewan McGregor, a “shocking tsunami drama” based on one family’s experience of the Indian Ocean tsunami that hit on Christmas Day (our time) 2004. The trailer looks incredible. 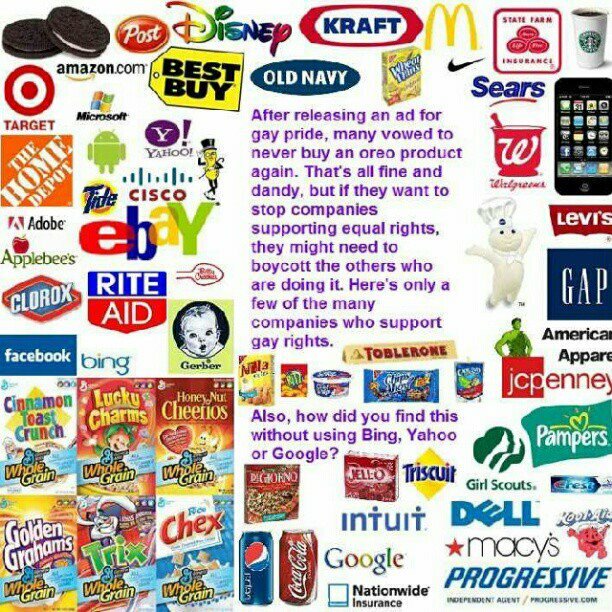 I know that I just blogged two days ago about the new Mattel Barbie coming out and that I still didn’t get my Reba doll from last year, but here are a few nice places you can shop this year and know that some of your money goes toward marriage equality. 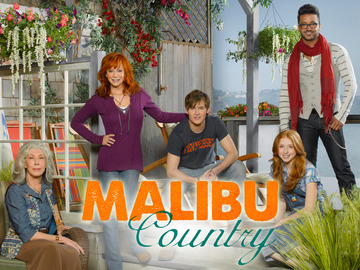 While I wait for the new ABC Reba McEntire comedy, “Malibu Country” (November 2nd), the only new television show I’ve checked out this fall is “The New Normal”, from Ryan Murphy (“Glee”, “American Horror Story”, and “Nip/Tuck”). 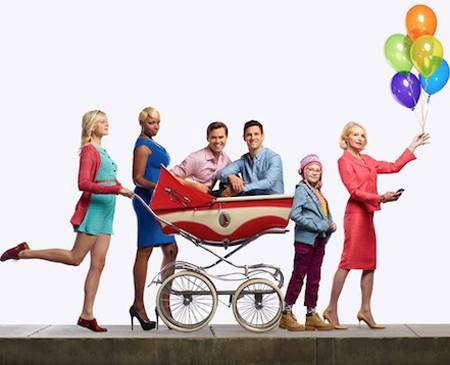 It focuses on a gay Los Angeles couple (Bryan and David) wanting to have a baby. Goldie, who just moved to LA from Ohio agrees to be their surrogate mother for $35,000 to go back to law school and to make a better life for her daughter, Shania. It’s funny and enjoyable. The premiere episode has been the best. The ensemble cast is great and the standouts are Ellen Barkin (Goldie’s grandmother), NeNe Leakes (Bryan’s personal assistant), and Bebe Wood (Shania, Goldie’s pre-teen daughter). Sadly, the ratings for the NBC show have already started slipping from almost 7 million viewers for the first two episodes to around 5 million for Tuesday night’s politically-charged episode, “Obama Mama”. Check out this extended preview if you haven’t already watched the show. 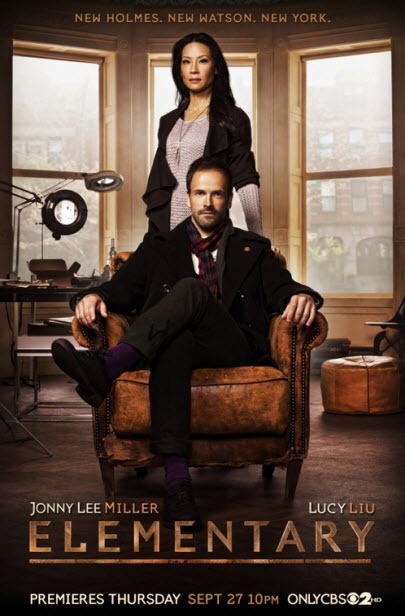 Tonight (Thursday night), I want to check out CBS’ new take on Sherlock Holmes, “Elementary”. It’s not because I’m a fan of the detective. It’s because I’ve had the hots for Angelina Jolie’s ex-husband, Jonny Lee Miller, ever since he played “Eli Stone” on ABC (thanks for cancelling that ABC, bad call!). And, finally, Sunday night is the seventh season premiere of “Dexter”. And, we’re only two weeks away from the new season “The Walking Dead”! 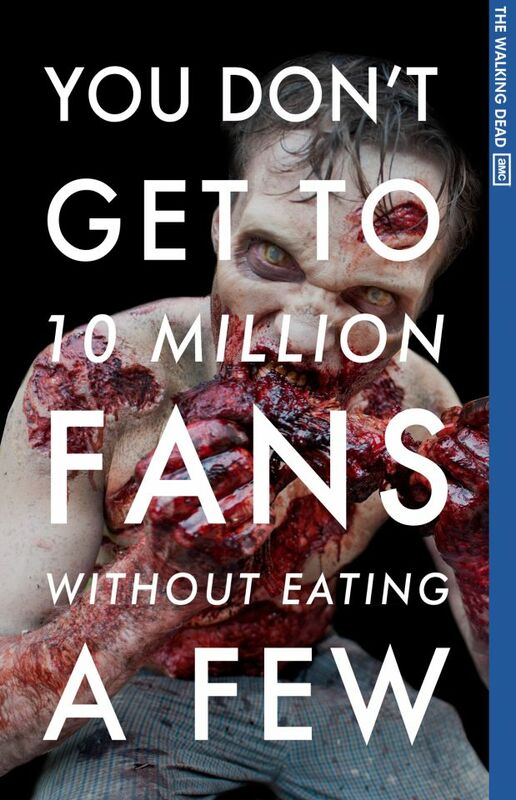 I love this post to thank the show’s 10 million Facebook fans! And, the new season of “American Horror Story” is coming, along with the final season of “Fringe”. With the trees beginning to turn and mums opening up, colors are beginning to pop. 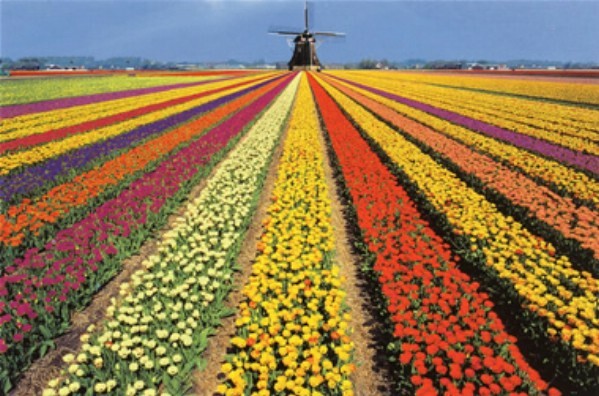 Did you know that in the winter of 1636, tulip mania hit Holland and for some time, bulbs traded for the price of houses? Crazy! 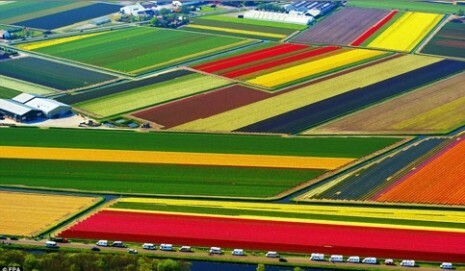 Although I’d never pay that much for anything, other than a house, the sight is majestic! While I await the new Lady Antebellum Christmas CD, “On This Winter’s Night” and Blake Shelton’s Christmas album (because it features Reba), the album I’m really excited about is Calvin Harris’ “18 Months” (October 29, 2012). For those that don’t know him, he’s a Scottish DJ and producer. 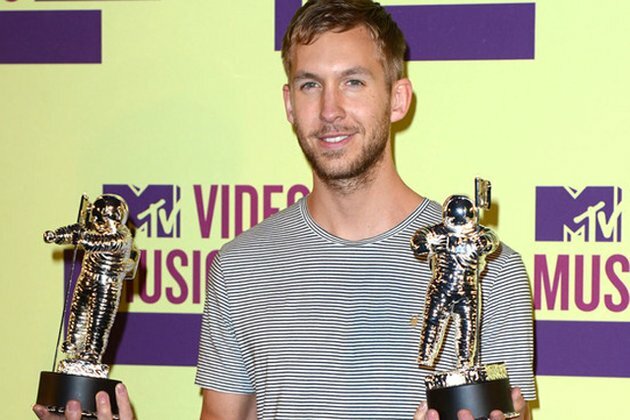 He also spent 10 weeks at #1 on the Billboard Hot 100 with Rihanna on “We Found Love”. He’s also had other hits like, “Feel So Close” and “Let’s Go”. 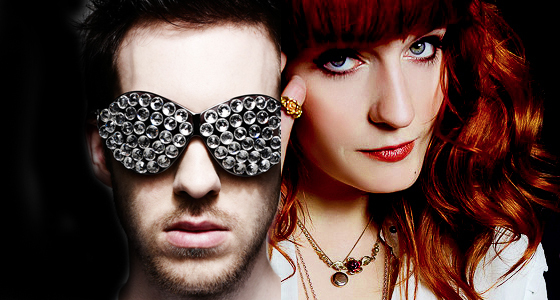 His new song, “Sweet Nothing”, features Florence Welch of Florence and the Machine. And, FYI, I still cringe when I hear the current Taylor Swift song, “We Are Never Blah Blah Blah”! 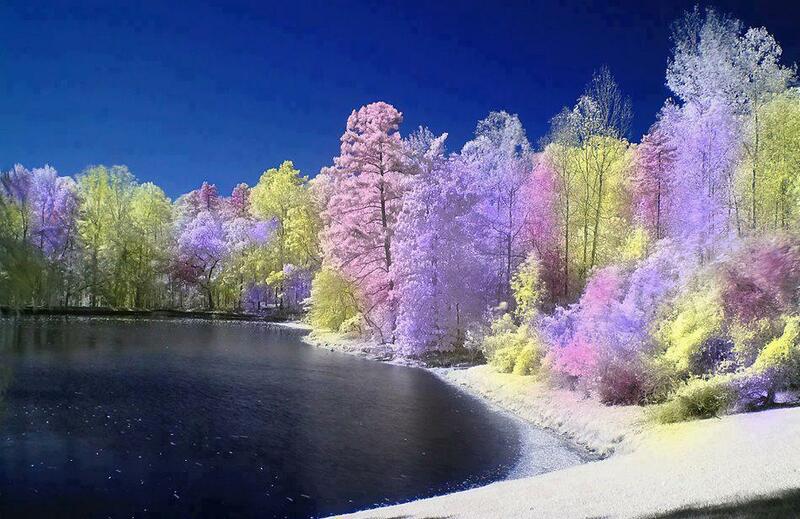 Have a great day and thanks for checking out my buffet blog. I know that many people love hot summer weather. It gives you a chance to relax by a pool or dive in to cool off. The only time I like doing that is on vacation and come September and October when I’m in Houston, Texas, and Las Vegas, Nevada, I will probably find myself doing just that. 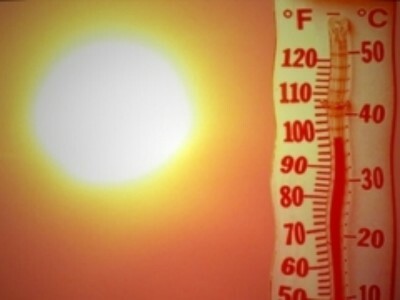 However, with the building drought, 104° last Saturday in the Quad Cities, and with the forecast of 90s this weekend and for next week, I’m so ready for summer to be over with. For various reasons, I’m so ready for August and September to arrive. August will usher in the end of the “dog days of summer” and by September, barring no freakishly warm weather, summer will be grasping hard to hold on. 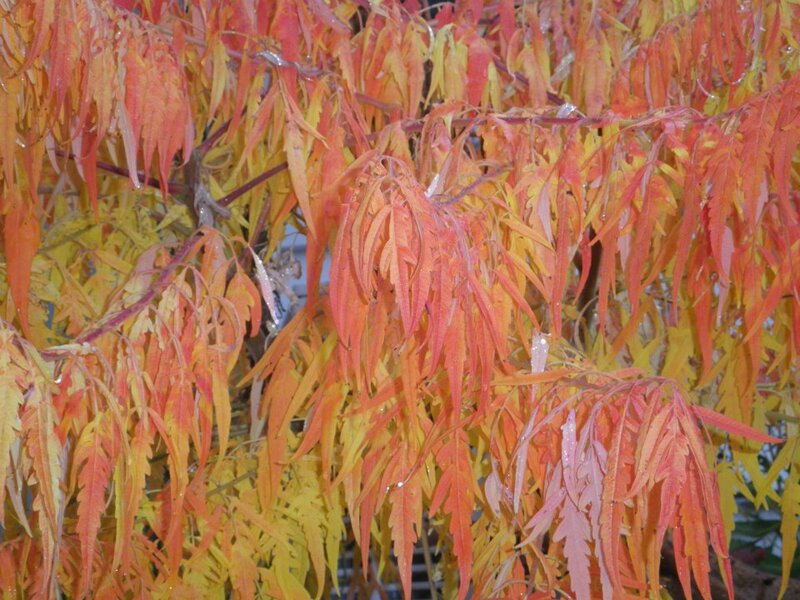 Trees will begin turning beautiful colors unless this summer’s drought causes leave to wither, brown, and fall without the spectacular autumn glow. I’ll be ready to see my Tiger’s Eye displays its fiery colors. 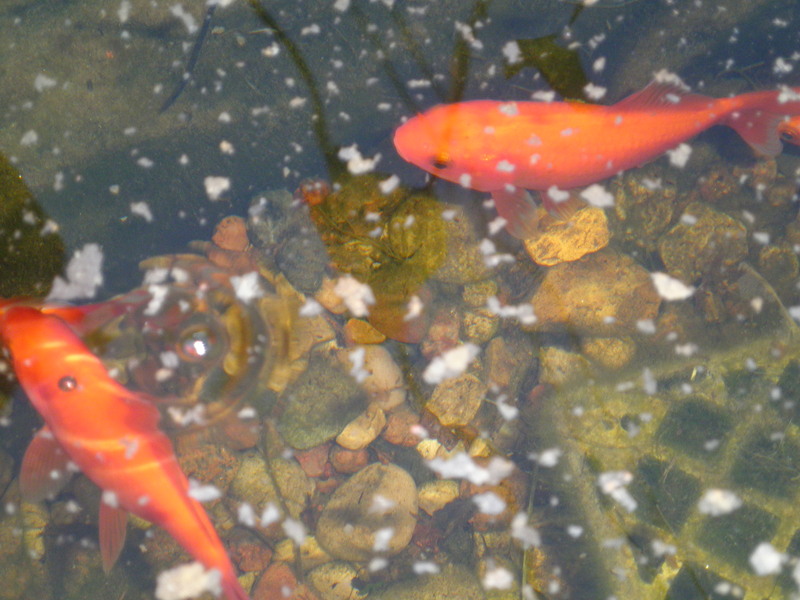 In addition to the colorful change to fall, the cooler temperatures will give us a chance to sit out back and enjoy the patio and the fish pond with a few ice-cold beverages. Strawberry basil sangria sounds great. 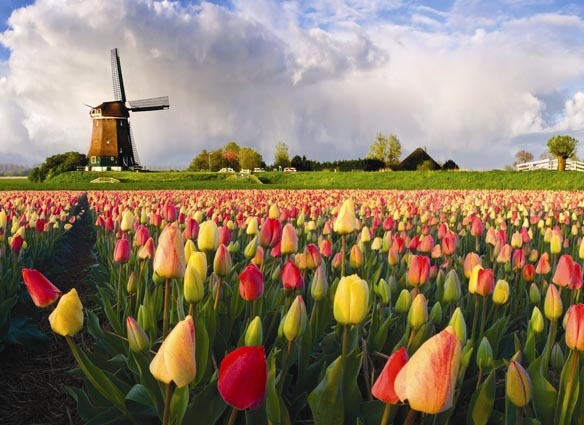 With my vacation season kicking in this fall, I am, without a doubt, looking forward to that. 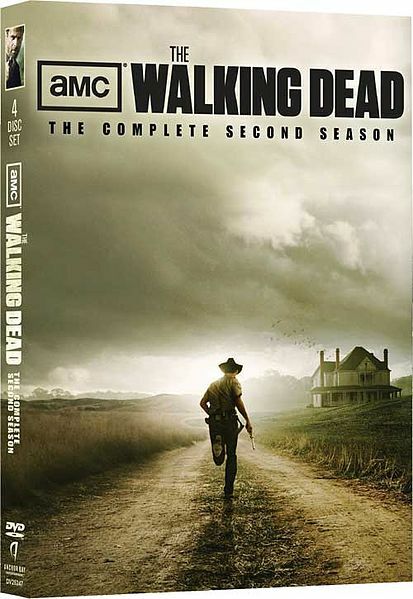 Also, the latest seasons of some of my favorite television series will be arriving on DVD. 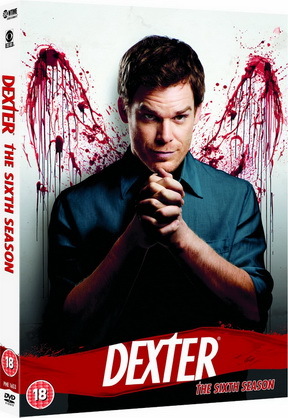 I’m most excited about season six of “Dexter”! 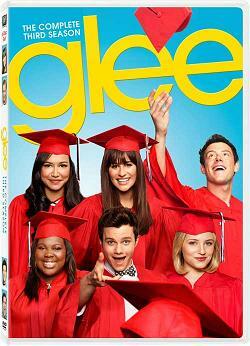 Also, there’s season three of “Glee”, the second season of “The Walking Dead”, and the fourth season of “Fringe”. 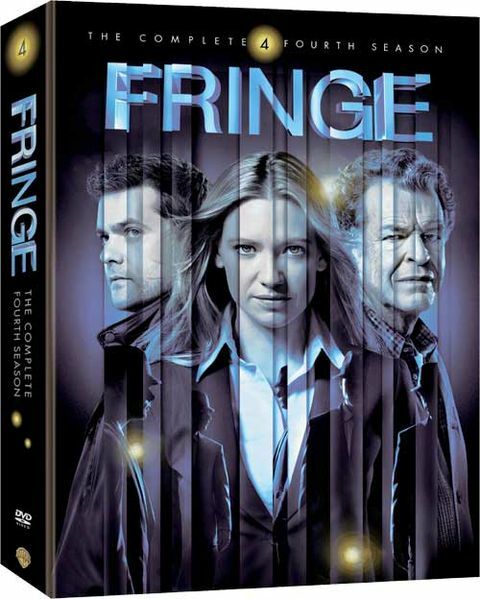 (Ray and I have yet to watch season three of “Fringe” that is still unopened.) In addition to those, we still have to dive into “True Blood” and “Six Feet Under”. 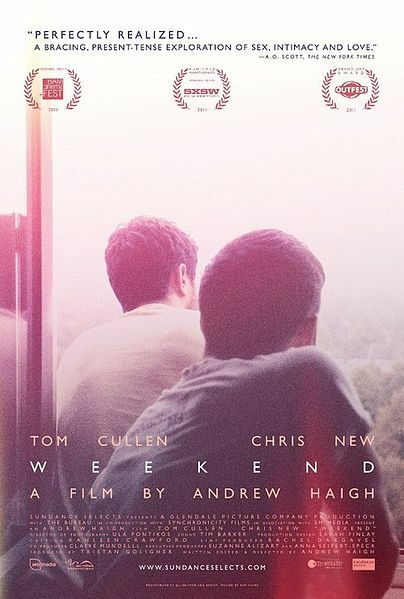 Also, this fall, two movies that I really want to see that never played here (or if so, in very limited release), “Weekend” and “Bully” arrive on DVD in August and September, respectively. 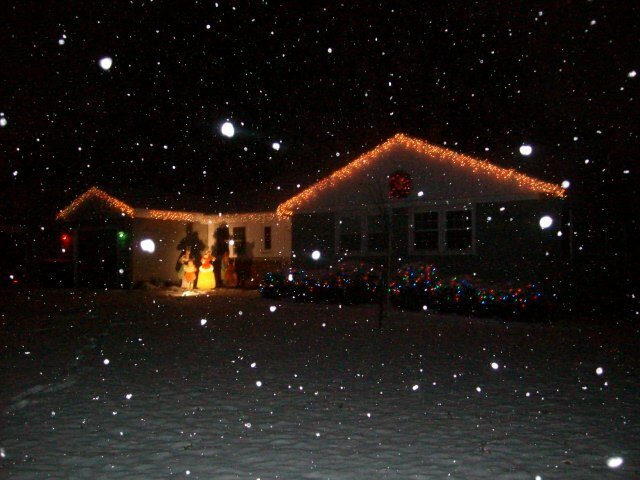 Enjoy the rest of your summer because I’m already thinking of fall and winter.